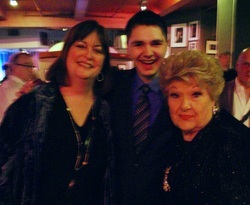 Last week I was invited to sing for Marilyn Maye’s 85th birthday celebration at Birdland. I was honored to be asked, and immediately started wracking my brain for just the right song. I decided that at least part of what I presented needed to be personalized with original lyrics, to tell her how much she has inspired me through her teaching, as well as performing. I began by watching back video from her recent masterclass in which I had sung. I jotted down some of her instructions- “Grab the mic stand,” “Close up your hands,” You’re too young to be singing these lyrics.” I also thought about the recurring themes she talks about- holding out the notes, getting a good breathe and the infamous eyelashes issue. Well… I knew the eyelash thing wouldn’t work, but the rest seemed like good material. Next I asked a few people for suggestions. My mom instantly sang the beginning of the verse to Silver Bells, “Christmas makes you feel emotional. It may bring parties or thoughts devotional.” A Christmas song? It could work. I took it from there and ran with it. The final piece of the puzzle came when I was working with my vocal coach Laura Bergquist, and she thought it would be fun for an 18 year old to sing “You Make Me Feel So Young” at an 85th birthday celebration. I immediately went home, found the music online, and learned it. This all took place in just a few days, and before I knew it, it was Monday night and I was headed to Birdland to sing for Marilyn. I had printed out the lyrics to what I was singing and made a birthday card for Marilyn. When teaching, she always wants printed out lyrics on which to write comments, so it seemed like an appropriate birthday card. Plus, I could take it on stage and make sure I got the original lyrics correct and said what I wanted to say. 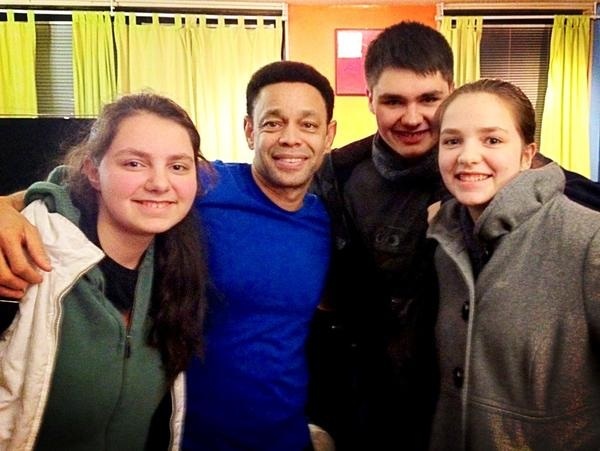 The whole night was incredible! First, as we approached Birdland, there was a line all the way down the block of people trying to get in. It was sold out, but we headed to the front of the line and were waved in thanks to our reservations. I’ve never seen anything like it on a Monday night Cast Party! Once inside, it was so much fun to see everybody. Some of my favorites were there, including Ann Hampton Callaway, Jane Monheit, La Tanya Hall and Marissa Mulder. In addition to Broadway and Cabaret people, there were TV/Film personalities there to celebrate with Marilyn. We were seated next to Linda Lavin. I sat back and enjoyed the incredible performances. 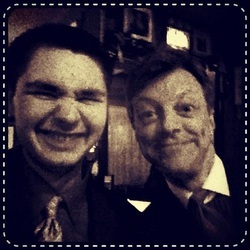 Then, Jim Caruso finally called me up. I settled my lyrics on a music stand and told Jim that this one was for Marilyn. Due to the lighting, I could see her sitting at the table directly ahead and smiling. Ted Firth started the intro, and I thought, and said, “Let’s do this!” I began my tribute. As soon as I sang the first stanza, there were great reactions from the audience. They obviously knew Marilyn as well, if not better, than I, and got the meaning of my carefully constructed lyrics. In fact, I sang the line right before the chorus, “It’s no wonder everyone loves…” and then something incredible happened. As I sang “Marilyn” everyone anticipated where I was going with the song and sang along. Not only sang along, but harmonized and did the traditional echo. What an amazing feeling! I continued through the second verse, totally inspired as I quoted Marilyn in my song. Next was the transition and my opening statement of “You make me feel so young”. The room burst out in laughter and then something crazy happened. I was so amused and stunned that I lost my place for a minute. But guess what? Since everyone in the audience knew the words, they started singing along and I quickly recovered. I don’t remember having a memory slip like that before, and think I might have been bothered later thinking back, but instead it was just this incredible feeling of being loved and supported, almost as if it was intentional and they were singing their part. I finished the song adding in a “Happy Birthday to You!” Marilyn jumped to her feet and before I knew it, I was getting a standing ovation. I blew a kiss to the birthday girl and exited stage right. What an awesome experience. Now, you would think that was the end of the story, but one other thing happened that is definitely worth mentioning. Ann Hampton Callaway got up to improv a song for Marilyn. She asked Marilyn to join her, and the two legends proceeded to sing an improvised blues song about the night. You can imagine my smile grew even larger when they mentioned me. “Tony’s the real thing” and “Tony ain’t no bologna” are two of my favorite lines. It still makes me smile to think about it almost a week later. Needless to say Marilyn Maye’s 85th birthday celebration at Birdland will be a treasured memory. What an incredible night to pay tribute to an incredible lady, and I am so honored to have had a chance to serenade the birthday girl! 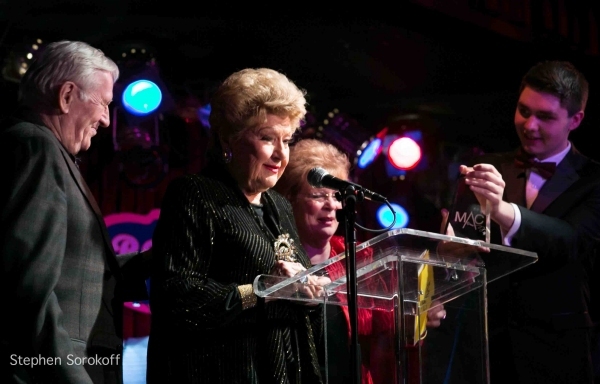 Last week I had the honor of not only handing Marilyn Maye her trophy at the 27th Annual MAC Awards, but then a couple days later singing in her masterclass. What an incredible performer, teacher and person! I had first met Marilyn last September, when Michael Feinstein invited me to sing at Feinstein’s at Loews Regency at a performance of “Michael Feinstein and Marilyn Maye: Swingin’ the Night Away”. I was blown away by Marilyn then, and even more so now that I’ve gotten to see her further perform, as well as teach. Marilyn’s MAC Award was “Celebrity Artist” for “The Happiest Sound in Town,” at Feinstein’s. After receiving her trophy she sang original lyrics about the event, which segued into “I Can’t Give You Anything But Love”. My view was from the wings, but that didn’t diminish the effect of her engaging performance. 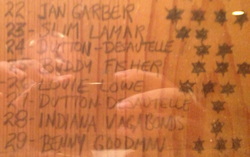 I had recently seen Marilyn perform in a Peggy Lee tribute at 92nd Street Y and her show “MAYE-den Voyage” at 54 Below. Be it a large hall or small, this 87-year-old firecracker commands the stage and brilliantly captures the attention of each audience member. I learn so much from watching her perform! Last Sunday morning, though, it was my turn to perform for her. The venue was “Don’t Tell Mama’s” for this Marilyn Maye Masterclass Marathon- 10 am to 3 pm. Five hours non-stop genius at work. I was in the middle of the running order, so got a feel for her teaching style before I was called up. Then it was my turn and I headed to the piano to talk tempo with the amazing Barry Levitt (another MAC Award winner whom I had the privilege of presenting with a trophy,) before taking center stage. Marilyn spoke briefly with me as I introduced myself and my piece (“Ev’rybody Says Don’t” from Anyone Can Whistle,) then the intro started. It was a little faster than I was used to singing, but I dug in and started spitting out the words to this fast patter song. No sooner had I gotten a few bars into it, then Marilyn called a halt. “Too fast,” she said. No nonsense. No messing around. No singing through the piece first. Just getting down to business immediately. She quickly instructed me not to sing with the wrong tempo, but to just stop and tell the pianist. “You’re not married to the tempo that somebody sets. It can be a mistake on their part or your part. It isn’t a mistake at all. We just want it slower.” And with that correction, we began again with a more conservative tempo, enabling me to sing my best. The relaxed tempo really allowed me the time to get out the plethora of words and take my time to interpret what I was singing. Marilyn’s response was “Just darling!” My smile got even bigger. On to the second song, “Here’s that Rainy Day”. I fell in love with this song last summer, hearing my good friend, Nick Ziobro, sing it in his winning performance at the Feinstein competition. This seemed like a good opportunity for me to sing the beautiful ballad. When I announced this second song, Marilyn’s immediate response was “I don’t believe you have lived through enough to sing this, you’re too young. But I want to hear you to sing it, so sing it!” So, I sang it. What followed was a lesson in mic technique, interpretation, engaging the audience and ornamentation. Marilyn Maye is brilliant. She doesn’t just talk to the students, but gets up and shows them example after example. I learned so much that can be applied to everything I sing. After singing, I received a hug from the wonderful, brilliant, generous icon that is Marilyn Maye. 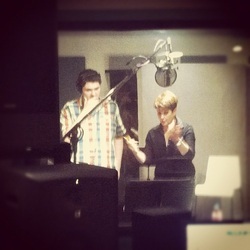 I continued to learn as the afternoon went on. Marilyn never slowed down. Each and every student got 150%. I certainly hope for many more times to be in the presence of Marilyn Maye, be it her performance or mine. What a blessing to have an opportunity to be a part of this Master’s class! Michael Feinstein Great American Songbook Competition- Amazing experience (see previous blogs;) reuniting with various contestants/mentors, including 3 times singing at Jim Caruso’s Cast Party at Birdland, and one upcoming time this Monday with Nick Ziobro, the winner and Great American Songbook Youth Ambassador; and to top it all off, I've been invited to sing with Sylvia McNair on her Christmas concerts at the Palladium in December! Carnegie Hall Musical Exchange Musical Theatre Project- Great online community experience, including feedback from Leslie Stifleman and Roger Rees, as well as being selected for a masterclass with Leslie, Roger and Tara Rubin. 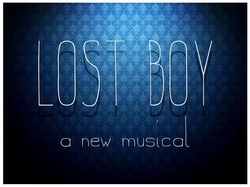 Upcoming project includes a recording session next week here in NYC. I will be recording “Different” from Honk! 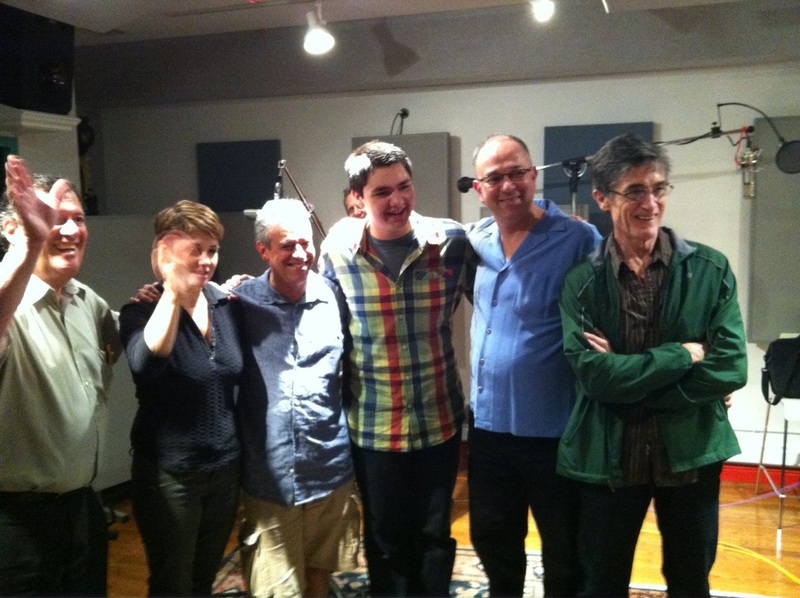 with Leslie Stifleman, Jeff Saver, Jay Berliner and Ed Salkin. Roger Rees will also join us, and there will be a video made for the Carnegie Hall Musical Exchange website. 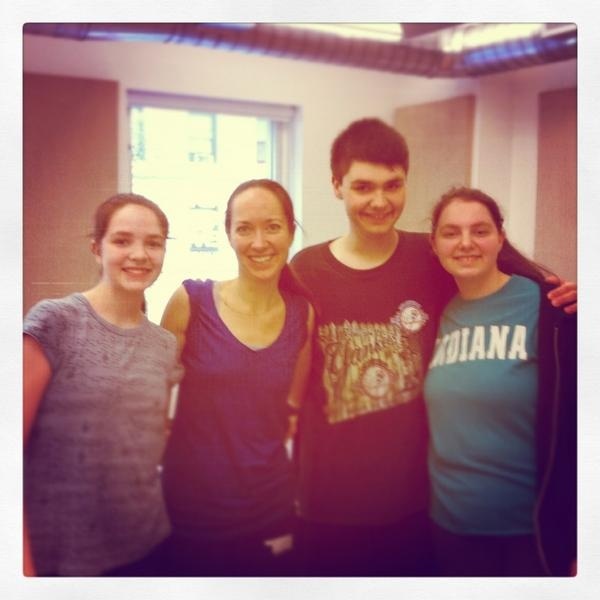 iTheatrics- I was asked to participate in a workshop, creating a 1 hour version of “Bye Bye Birdie” for Tams Whitmark. I was cast as Albert Peterson, and got to perform the role for Charles Strouse (composer of “Bye, Bye Birdie” and “Annie”) It was a fabulous experience getting to work with the amazing iTheatrics team again! 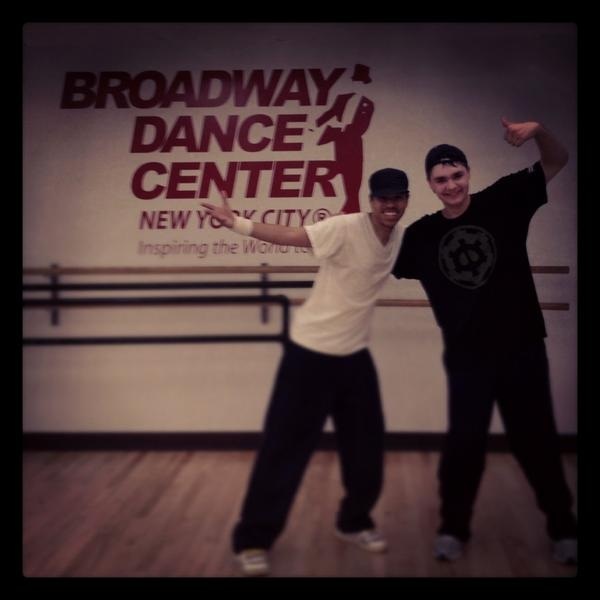 Broadway Artists Alliance (BAA)- I was a work-study student/participant in all of the summer programs this year. Each session is worthy of its own lengthy blog post, and there is really no way to describe how incredible it was to work with all of the amazing people involved in this program. At this point, I’m just going to make a list of the professionals with whom I worked, and try to be more on top of specifics in the future. 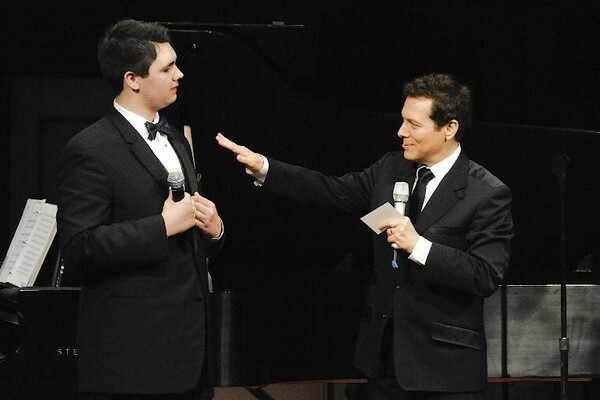 Two weeks ago today, Tuesday, June 12th, I headed to the University of Indianapolis for the Michael Feinstein Great American Songbook Initiative High School Competition Finals. (How’s that for a mouthful!) I had no idea what to expect. All I knew was that we were going to work with some amazing performers, further explore the Great American Songbook, and have our final performance at the Palladium in Carmel, IN. Upon arriving and checking in, I met my roommate for the week, Nick Ziobro. We hit it off immediately, having so much in common, from a love of good music to a passion for Pixar. There wasn’t much time to sit around and chat at that point, since we started rehearsals immediately after dinner. We had to prepare the group numbers that we were to sing with Michael Feinstein and Sandi Patty. It was immediately obvious that the 10 finalists from across the country were all incredibly talented and I had an amazing week in store. That night we had a reception at the Chairman of the Board’s house, where Jim Caruso hosted a special version of his “Cast Party” and all the finalists and judges sang. Unbelievably awe-inspiring! Like something out of a dream, we sat around while people like Jim Caruso, La Tanya Hall, Sylvia McNair, and Michael Feinstein got up and sang. These judges are not only incredible teachers and performers, but people, too. What a night! Definitely one I’ll fondly remember the rest of my life! The afternoon masterclass was again led by Michael, who was joined by Sandi Patty. This time, I was one of the first to sing. It was another class full of great advice and teaching. Also, it is worth mentioning that Michael is so funny. He could easily have a standup routine, as he is so smart and quick witted. Even just casual conversation with him is entertaining! 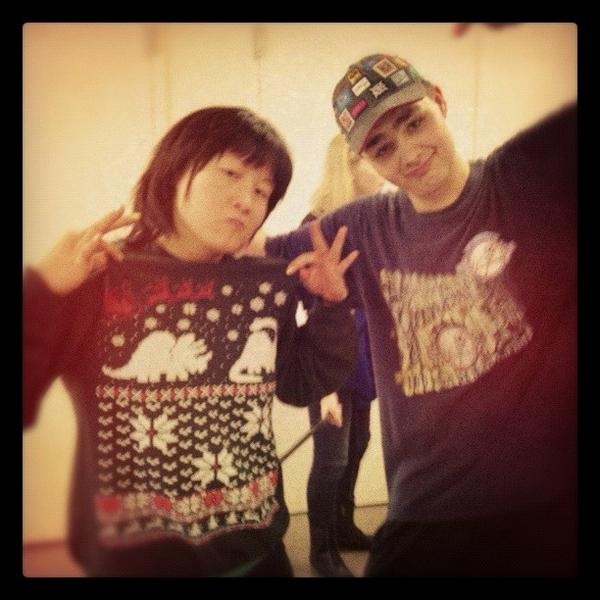 After the masterclass, we rehearsed our group number with Sandi, and WOW! Friday was all about preparing for the sold out performance that night. The event was a competition, but even throughout the week it was never really the focus. We were too busy learning, having fun and soaking up everything possible. It honestly felt like I was part of an incredible family who were making music and celebrating the journey we had been on together for the past four days. I will never forget and walking out on stage for the first time. It was a dream come true. We were treated with performances by the judges, joining in on the group numbers with Michael and Sandi. I truly loved every second of being on the stage. Finally, the performing was done and the judges left to deliberate. Of course my hope was to be one of the winners, but as I sat there and reflected over what I had experienced during the process, I already knew that no matter what, this was a life-changing experience. There were ten talented kids on stage, all who could easily take the top prizes. Then the judges came out. It was time. Third place went to Tori Anna from CA. I was thrilled for her. Second place went to… Tony Ponella? I couldn’t believe my name had been called. Next thing I knew, I was getting hugs from the judges, handed flowers and was standing beside Tori. 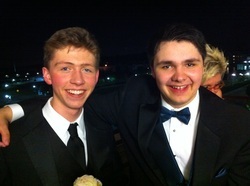 Finally, to be joined by First place winner, Nick Ziobro- who had become such a good friend, was the icing on the cake. The competition was over, and the party began. It was such a joyous celebration. My family was there supporting me, including my grandparents from Kansas, as well as my voice teacher, Dr. Horne, and his wife. I felt at home, part of a bigger family--loved, appreciated, supported, and as if this was just the beginning of something amazing. Saturday morning dawned, and my mom came to check me out of the dorm. Living so close, we headed home to Bloomington for the day. That evening, I put my tux back on and headed back to the Palladium, this time as a spectator. Another incredible night unfolded- tapping duo The Manzari Brothers, Lari White, Andrea McArdle, Clay Aiken, Barry Manilow, Michael Feinstein, and my friend Nick Ziobro graced the stage. At dinner, I got to meet Clay Aiken, who told me, “There’s nothing wrong with second place. I’ve done it twice. Just keep working hard and everything will work out.” I totally agree. The night culminated with the after party, when Michael Feinstein called Nick, Tori and myself out of the audience and had each of us sing with him at the piano. I’m still not down off cloud nine after that! At the risk of sounding corny, I feel like we were all winners, and a part of something so special that there just aren’t words to describe it. It really is impossible to write down everything that happened. I’ve just tried to hit some of the highlights. What a week! I will cherish this experience for the rest of my life. Thank you to everyone involved with this phenomenal event! 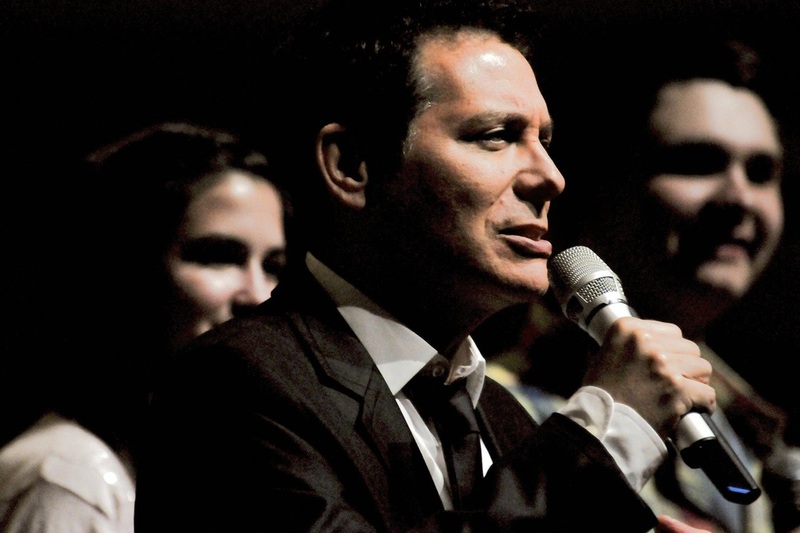 Michael Feinstein's Great American Songbook High School Competition Finals start tomorrow! After a whirlwind weekend-- working and assisting for 5 performances of One Step Above's productions "Cinderella Kids" and "Alice in Wonderland Jr.", then staying up to the wee hours watching the recorded Tony Awards, today is all about getting ready for the amazing week ahead. I've practiced, listened, done laundry, checked my lists, practiced and listened some more. In preparation, I was looking through all the information and remembered that Jim Caruso (one of the judges) was on an episode of Michael Feinstein's PBS program. Fortunately, I have them all saved at home on the DVR, so was able to go back and watch that part again. In that same episode, I noticed a trumpet player at Sophia’s who looked familiar. I double checked the credits, and sure enough, it was my dad’s cousin Michael Ponella! I’ll definitely have to ask him about that the next time I see him! Also, my dad told me that a colleague from IU Jacobs School of Music (another trumpet player) came by today and mentioned that he will be playing for the Gala/After Party Saturday night at the Palladium. The winner of the competition will be performing, and all the finalists and families will be attending. Just another example of what a small world it is! Tonight, I'll enjoy spending time with my family, then tomorrow I have a quick rehearsal before hitting the road. I can't wait! Hopefully I'll have time to blog, or at least tweet (@tonyponella), throughout the week. I know that it will fly by, and I'll want to look back and be able to remember all the details of what promises to be an amazing experience! Watch for my next post from Indianapolis!